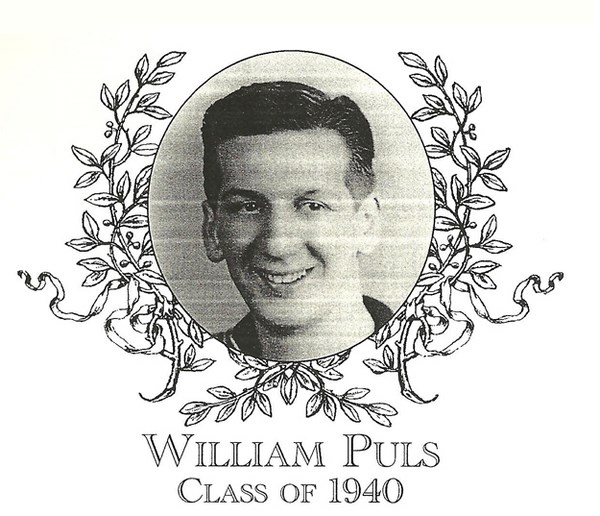 William Puls was an outstanding two-sport athlete at Bartlett High School. In the fall, William distinguished himself on the gridiron and in the spring he excelled in the sport of baseball. A three-year started on the football squad, William was a big, hard charging lineman. He was an excellent blocker. When Coach George Finnegan needed tough yardage he would call the running play to follow William�s blocking. On defense, William was a fierce tackler and was relentless in his pursuit of the running back or quarterback. Attitude and toughness exuded from William on every play. His spirit and desire overflowed to his teammates and his encouraging leadership and style enabled his teams to be competitive with anyone who stepped on the field to oppose them. Baseball was William�s top sport. He was a four-year starter at a period in time when Bartlett baseball squads dominated Central Mass play. He was an excellent hitter, with the capability of going long at anytime. William was a topnotch catcher who received many accolades for his defensive skills and his ability to communicate and direct his pitchers. When longtime baseball coach and coaching legend George Finnegan named his all-time baseball squad, William�s name appears prominently on the list. William captained the 1940 team and was also awarded the Hebert C. Branch Athletic Medal which was awarded to Bartlett�s top athlete. William continued to play after high school. He played semi-pro locally for several years and then for the Navy in Cuba. William was very proud of having served his country during World War II with his Naval service. William studied photo engraving at Effingham in Illinois and used his education and experience while employed at the Telegram and Gazette. William married Lorraine Gilbert and had two sons, William and Kenneth.